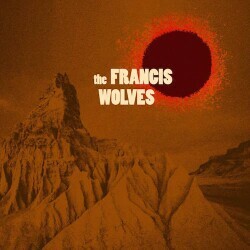 The Francis Wolves are an 8-piece instrumental funk juggernaut from Brisbane, Australia. Combining such diverse influences as Fela Kuti, The Stooges, The Budos Band, Jimmy Smith and even the B-52s, The Francis Wolves have created their own unique sound; a combo of gritty soul and raw funk. That unique sound is imprinted on their forth-coming debut album. First, there’s the Ventures-esque Gothic Surf Club, a song that smacks you in the face and leaves you wanting more… and then there’s the grimy New Orleans funeral march of Kids at No. 3 which never fails to get the B-Boys on the dance floor, especially when the band “take you to the bridge”... there’s the ethio-jazz inspired Desert Love which tips its hat to Malatu Astatke and QOTSA simultaneously… and who could forget the “oh so L.A” feel of Oh So L.A. The Francis Wolves’ first release, a 7-inch vinyl double single; "Valley Heat / Deep in the Ju Ju" was released independently in August 2015. Recorded by Donovan Miller at Tym Guitars. The Francis Wolves’ debut album will be released early 2016, also recorded by Donovan Miller at Tym Guitars. Desert Love is a psychedelic funk jaunt with a mean sax solo, hypnotic guitar riffs and tantric percussion. Imagine yourself lost in the desert for days, dehydrated and skin peeled. Then, finding a spring of fresh water. Desert Love would be the theme song to that emotional rollercoaster. Other tracks by The Francis Wolves: Gothic Surf Club - Oh So L.A.